Is Your RO System Not Producing Water Fast Enough? If your reverse osmosis unit seems to be producing less filtered water than it did previously, we outline here a few simple steps to check the current production rate of your system. Follow these 5 Steps to determine how much water your system is producing over a 24-hour period, and some suggestions for increasing the flow rate. Step 1: First, make sure the incoming water line to the RO system is turned "ON". Then, turn the ball valve on top of the reverse osmosis storage tank to the "OFF" position (generally a 1/4 of a turn). Step 2: If you have a standard reverse osmosis faucet, flip the handle to the "up" position, so the faucet is now locked into a continually open/flow position. At this time any water in the lines of the system will flow from the faucet. Step 3: After there is no more water in the system lines, you may need to wait 1-5 minutes at which time you will/should get a continual fast drip or very slow flow from the faucet. (NOTE: If you get no flow from the reverse osmosis faucet, the system is not producing water). This flow rate represents the flow rate the system is producing water and the rate that the reverse osmosis storage tank would be filling if the valve on the storage tank was in the "open" position. Step 4: Once you have a continual drip or slow flow from the faucet, using a measuring cup, measure how much water drips/flows from the reverse osmosis faucet into the measuring cup for 60 seconds. Step 5: Now it's time to do the math! Take the number of ounces your RO system produced in one minute. Multiple this number by 1440, which is the number of minutes in a day. Divide this number by 128 which is the number of ounces in a gallon. This number is the amount of water your RO system is producing over a 24 hour period. If you want an hourly rate divide the number by 24, or the number of hours in a day. After you understand exactly how much water your RO system is producing, you can better asses the situation. For example, if you've determined that the RO system's flow rate has decreased, you can now work to figure out the cause and find a solution. For example, a decreased flow rate may be caused by clogged filters or a fouled membrane that simply need to be replaced.  To troubleshoot a variety of issues relating to your reverse osmosis system, you may find this page helpful as we list symptoms, probable causes and the recommended solution. You might also want to read up on how to properly maintain your reverse osmosis system.